Lechiagat, t4 duplex stunning views of the sea and the fishing port, beach 20m. 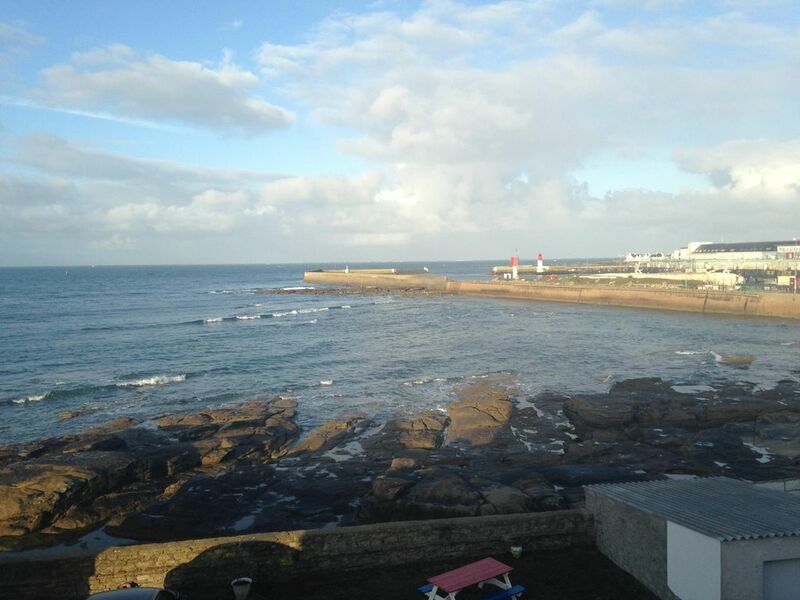 Detached house comprising a duplex apartment T4 (1st and 2nd level) full sea view and without any opposite. At 20 meters is a small sandy beach nestled between the rocks. The large beach is 300 meters away. Opening on the fishing port of Guilvinec, the broom of the trawlers and the swaying of the tides. Detached house not overlooked 2 floors with a T2 on the ground floor and the duplex T4 on the first and second floor. Fitted and equipped kitchen open to living room and lounge, TV, internet box, 3 bedrooms (bed 140 on the first floor, 1 bed 160 sheets provided, 2 beds 90 bunk on the 2nd floor) 2 bathrooms, 2 toilets, washing machine. All the main rooms have sea views, the beach and the entry of the boats to the port of Guilvinec. The flower garden opens onto the ocean, sunbathing, lounge and dining table. Très agréable, superbe vue sur mer. Logement très propre et très fonctionnel.Il faudrait peut-être davantage de linge de maison esssuies-main, serviette de toilettes; ...). La propriétaire est très sympa et disponible. Le coin (pays bigouden) est fabuleux. bars, tobacco, press, pmu, bakery, grocery store, florist. Games for children in small enclosed park. boat lift. Painting of boats out of water. Enclosure of the lighthouse. pier.